The Selfish Wish is Available in Paperback! Julian captures a magical horseshoe and is assigned by the Leprechaun Council the responsibility of granting a selfish wish to six strangers. The last wish, the seventh wish, must be his selfish wish. Not only must he choose who receives the wishes, he must also keep the golden horseshoe away from the evil trolls. Join Julian and his leprechaun companion, Lawrence, as they travel from coast to coast to fulfill the all the wishes. Available as a paperback or eBook! “The date, 7/7/2007, was the inspiration for me to write a story about a magical horseshoe. 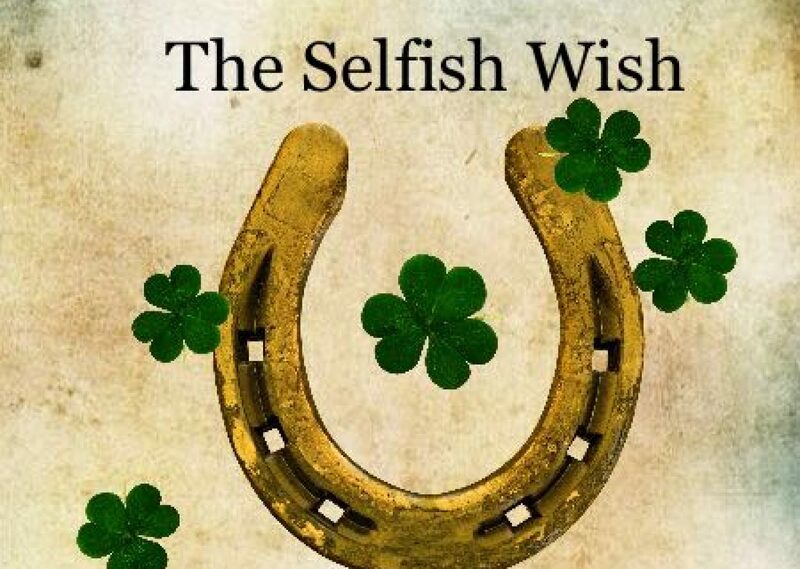 It’s a delightful adventure about a human, a leprechaun and a horseshoe that grants “Selfish” wishes. If you enjoyed stories like The Wizard of Oz, The Princess Bride, and A Wrinkle in Time, and the lessons those stories teach, I think you will enjoy my story too. The Selfish Wish was originally published in 2010 under the title, The Seventh Wish. Years after I published my story, another author published a story with my original title. To avoid confusion, I made the decision to change the title.